I saw this chart sometime ago and thought it spoke to many wine drinkers. For me, the “Cab” is my wine of choice. 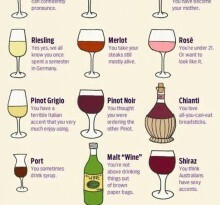 What does your wine of choice say about you?